A more recent registration class based on form, its definition states: The Unusual Form class is based exclusively on form, not on color or color patterns. 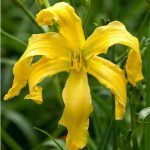 The flower must have distinctive petal or sepal shapes on all three petals or all three sepals. It includes three basic forms: crispate, cascade and spatulate. 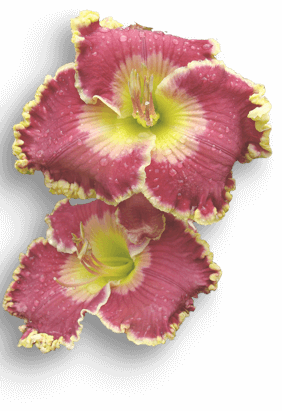 The crispate form is further defined below. 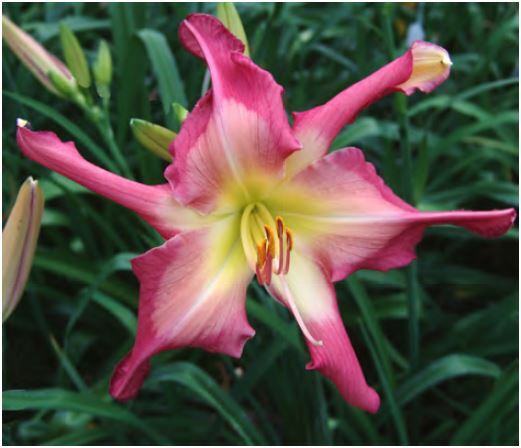 Ideally, there should be minimal overlap with a v-shaped space between 3 or more floral segments. 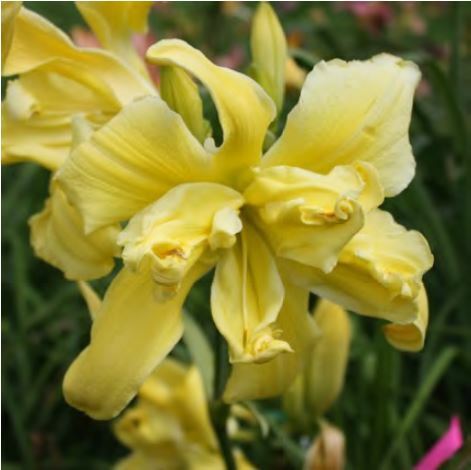 Definition: floral segments with narrow curling or cascading segments, resembling wood shavings. 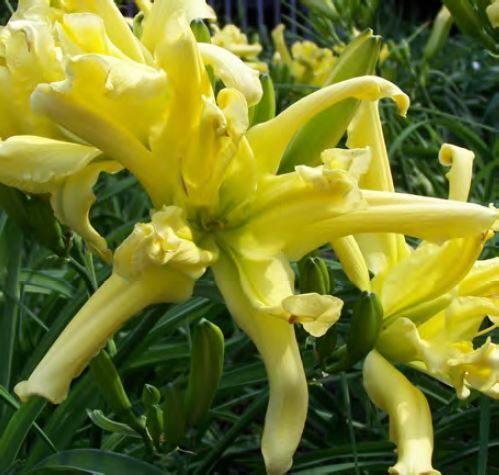 See below for cascade illustration. Definition: segments markedly wider at the end like a kitchen spatula. 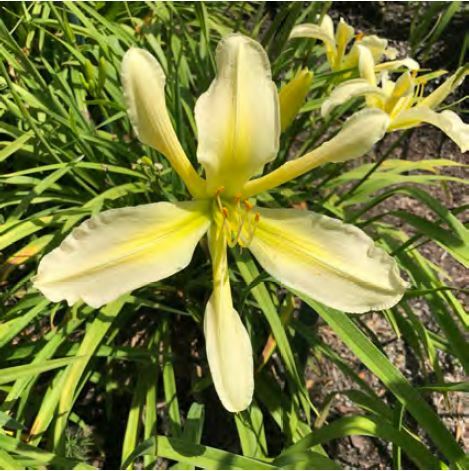 See below for spatulate illustration. 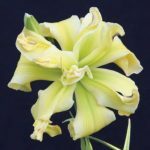 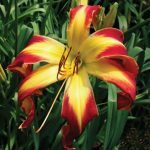 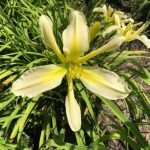 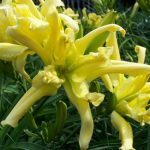 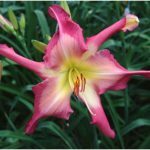 The purpose of this class is to recognize daylilies whose length-to-width ratio puts them outside the Spider classifications. The AHS makes available a list of officially registered unusual form daylilies each year. 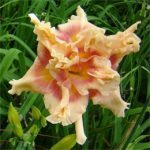 It can be downloaded free from www.daylilies.org. 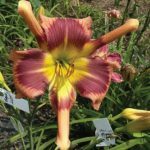 Only daylilies that appear on this official list are eligible for entry in the unusual form section of the show. 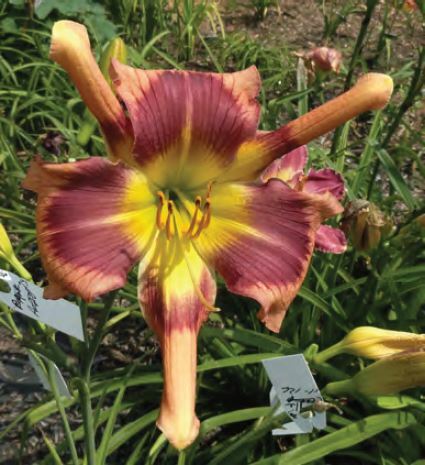 While multiform daylilies are eligible for the Lambert/Webster and Harris Olson Spider awards, multiform daylilies must be exhibited in the proper section as designated in the Multiform Classification Code.